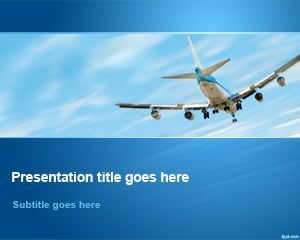 Free aircraft PowerPoint template is a nice background and slide design with air plane in the background. 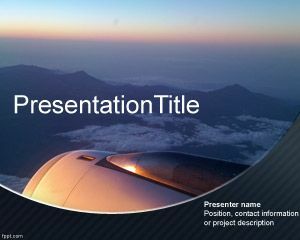 Free PPT backgrounds with a professional tone can be used for formal briefing regarding the schedule and working of an aircraft. 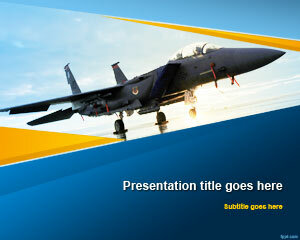 Students of aeronautics and air-space studies can benefit from presentations that have an aircraft in the main slide. 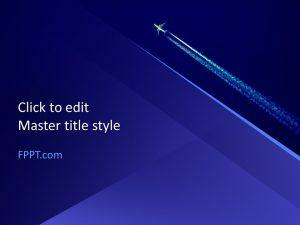 Find other elite stye backgrounds on FPPT, such as free airline PPT background, and airplane PPT slides. About eight people are responsible for maintenance of a passenger airplane. The major role in regular operations of an aircraft has to do with the pilot and aircraft mechanic. There are only limited ways to either either of these jobs. 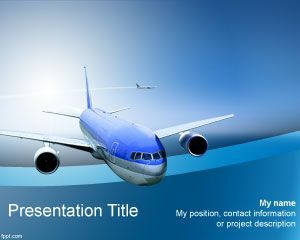 Demonstrate how to become a pilot, or an aircraft mechanic through aircraft PPT background. As the lives of hundreds of people is at the hand of inspection committee, the only way to get a job relating to an aircraft is by getting yourself certified. 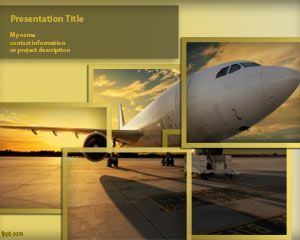 Use the aircraft PPT background to show how an air craft personnel has to go through proper schooling, in addition to a certification exam and training, before flying the plane or making it airworthy. 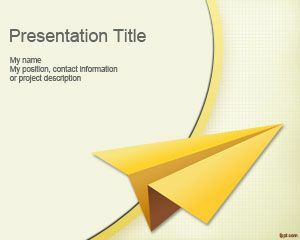 Free template to prepare presentations can be downloaded for giving a briefing about travel. Backgrounds regarding fare, flights, as well as aviation is available for PowerPoint 2010 and 2013 or presentations related to airplanes or airlines fares.